PORT Adelaide and key forward Jay Schulz have finally reached agreement on a new one-year deal after months of speculation that they would part ways. Schulz had been widely linked with a move to Fremantle as the Power announced they intended to trade for Gold Coast forward Charlie Dixon in this year's trade period. But Schulz, who has now played 187 career games with Richmond and the Power, said he could not be happier to remain at Alberton. "I love playing with this group and I'm rapt to continue on at Port Adelaide," Schulz told the club's website. "The boys have been fantastic in the way they've stuck together to make the club better over the past few years. "I'm looking forward to working hard in the pre-season to prepare for a much better 2016. "I know we've still got plenty of improving to do and I want to be part of that." Schulz led the Power's goal kicking in 2010, 2012, 2013 and 2014. 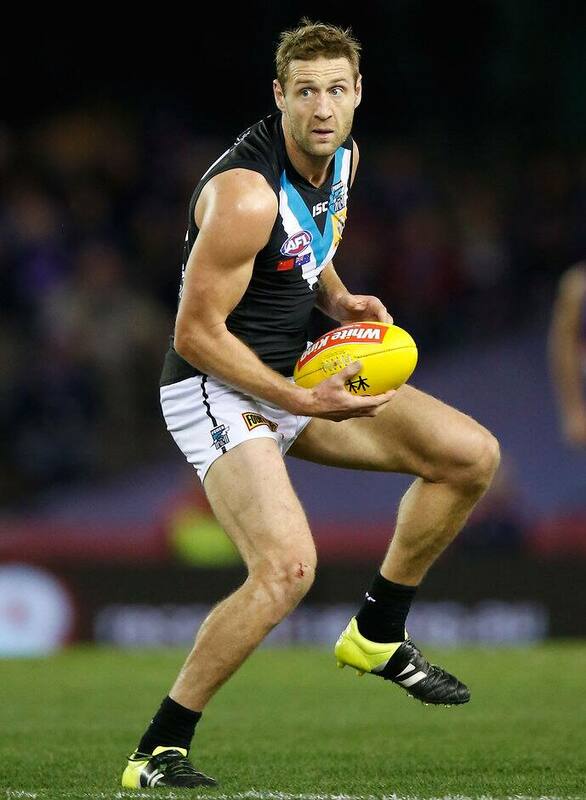 However, he had a quieter season in 2015 but still managed to bag 44 goals as Port Adelaide missed the finals. The focus will now centre on Dixon, who informed Gold Coast earlier this month that he wanted to be traded to the Power and reunite with former Suns assistant coach Ken Hinkley. The Dockers have also been linked with Greater Western Sydney youngster Cameron McCarthy who asked to be traded back to his home state of Western Australia. The Giants though have "categorically rejected" McCarthy's request. The young Giant is contracted to GWS until the end of 2017.